The Rotary Power XF wheel motor is built in to Asphalt Pavers all around the world. The motor is used as a front wheel assist, this means the motor powers the front wheels of the paver to increase traction or friction without damaging the road’s surface. 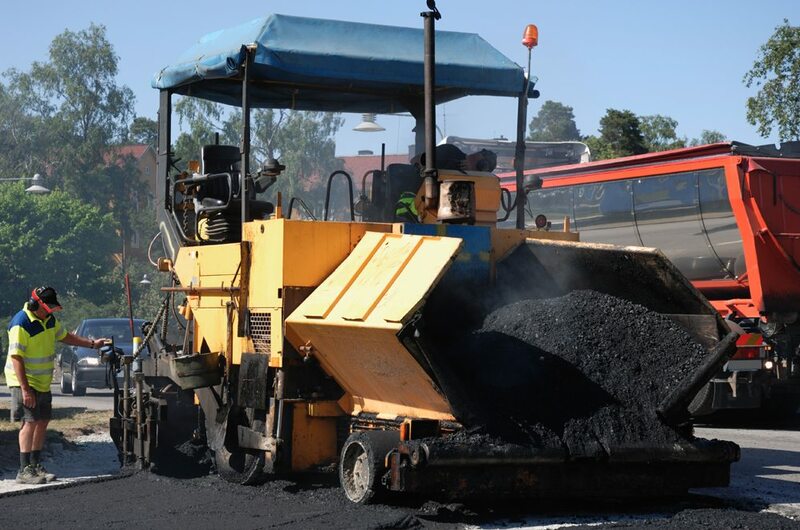 An Asphalt Paver is a piece of construction equipment used to lay tarmac on to roads, bridges and car parks etc. The paver lays the tarmac flat before being compacted by a roller. Asphalt pavers generally have a total of six wheels, the front four wheels are each fitted and hydraulically driven by an XF motor. This means no drive shaft is required from the engine to drive the motors. The engine powers a pump that in turn powers the hydraulic motors to drive the front wheels. The XF motor is ideally suited for this type of application because of its small size meaning that the wheel can be built around the motor. There is also a custom steering arm at the back of the motors allowing the front wheels to steer. The steering arm acts as a pivot and is integrated into the motors which means there are fewer additional parts for the customer to source. Rotary Power is the market leader in paver wheel assisted motors due to the flexible solutions offered to their customers. Where competitors offer an off the shelf motor, Rotary Power has the capacity to develop a motor around the application requirements. Fact: To pave one road, three key pieces of equipment are needed. An asphalt planer to remove the old road surface, an asphalt paver to lay the new surface and finally a road roller to flatten and level the tarmac after paving.